UPDATED!! As of February 2019, all 200+ videos are fully working. I spent the evening making sure each link worked and ended up replacing 36 links from channels that were either deleted or from videos that were removed from various YouTube channels. Now over 200 movies! Do you feel like having a ‘Movie Night’ without Hollywood? Here is a list of 200 plus consciousness expanding documentaries that will assist you in your evolution, all of which can watched for free online in the links below. Enjoy! Leave a comment below if there are any other videos that you would like to recommend. Also, if there are any broken links, please let us know as well! 175. Pyramid Of Death – Who REALLY Runs This World? Please comment below if you notice any dead links and/or if there’s a documentary you would like to see listed! 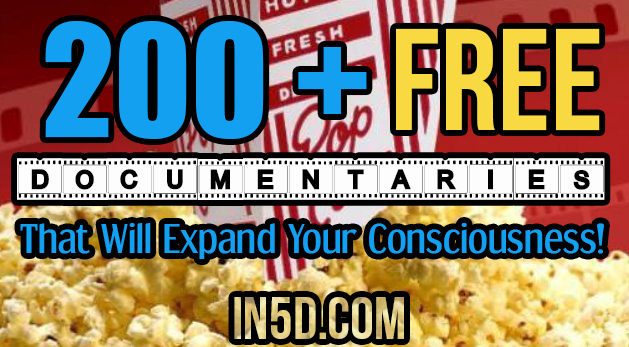 Tags: 200+ Free Documentaries That Will Expand Your Consciousness!